Provide comfort for the family of Joan Maino with a meaningful gesture of sympathy. Nicholas E. and Joan I. Maino of Allenwood section of Wall passed away on January 28 and January 29 respectively due to a tragic fire in their home. Nicholas and Joan were both born and raised in Bayonne, NJ and moved to Monmouth County in 1989. Nicholas was a WWII army veteran serving in the 77th Div. 11th Air Borne as a paratrooper. He was an insurance agent for almost 50 years for Met-life and Prudential. He was a bass player who once toured playing for the USO, was also a member of the Sentimental Journey and a member of Local No. 802 Association of musicians, NY. Nicholas loved growing tomatoes in his garden. Joan was the owner and operator of Joan Maino Real Estate in Bayonne. She served on the CYO Advisory Board of St. Andrew’s Church, Bayonne and graduated from Holy Family Academy, Bayonne. Joan was a Eucharist minister for St Catharine Church, Spring Lake and later became a communicant of St. Mark’s Church, Sea Girt. Joan thoroughly enjoyed sewing whether it was for herself or other people. She was also a model in her younger days for Barbizon Model Agency in NYC. Nicholas and Joan had been married for 66 years. Nicholas was predeceased by his parents and four siblings. Joan was predeceased by her parents and a brother Lawrence “Larry” Kowalski. 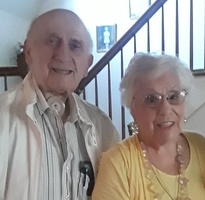 Nicholas and Joan are survived by their two daughters and son-in-law, Elizabeth “Beth” Maino of Long Branch and Jacqueline ”Jill” Guli and her husband Robert of Seminole, FL. Joan is survived by her brother and sister-in-law Robert "Bobby" and Gretchen Kowalski of Clark, NJ and her sister and brother-in-law Donna and Alan DeRosa of Bayville, NJ as well as many nieces and nephews. Family and friends are invited to attend a visitation on Sunday, February 3, 2019 from 1-4 pm at Orender Family Home for Funerals 2643 Old Bridge Road Manasquan, NJ 08736. A Mass of Christian burial will be 12 noon on Monday, February 4, 2019 at St Mark’s Church, Sea Girt. Interment will follow at St Anne's Cemetery, Wall. To send condolences to the family please visit www.orenderfamilyhome.com. 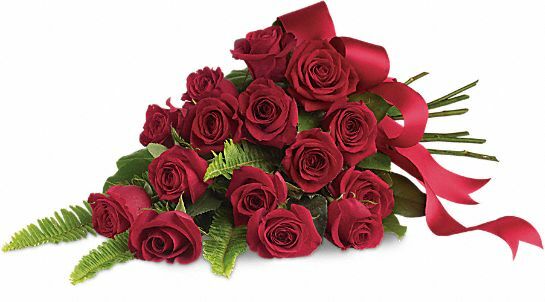 To send flowers in memory of Joan Irene Maino (Kowalski), please visit our Heartfelt Sympathies Store. Judith Kowalski-Napier and Kevin, Debbie, Vicky & Becky have sent flowers to the family of Joan Irene Maino (Kowalski). Our heartfelt sympathies go to you 2 Beth & Jill. Such a tragic loss. May they rest in Peace together. With much love, Rita Brattole (Sonny) & family. Judith Kowalski-Napier purchased flowers for the family of Joan Maino.